What If I Do Not Have a Will or Trust? - Wetherington Hamilton, P.A. What If I Do Not Have a Will or Trust? Most people think that executing a will or trust avoids probate, which is a common misconception. Unfortunately, probate is not avoided by a will or trust alone. Probate is necessary to transfer assets left in a person’s name at the time of death. If property, whether a bank account or real property, is titled to a deceased individual, with no joint owner or beneficiary, a probate administration will be required. There are ways to avoid probate, but merely having a will or trust will not avoid probate without correctly re-titling the estate assets. A last will and testament allows a person to name the beneficiaries of his estate. If the will is properly executed, the judge will admit the will to probate court and follow the intentions of the will. If there is no will, the estate is considered “intestate” and the judge will determine the beneficiary of the deceased person’s estate. Florida’s law regarding intestate estates lists a priority of beneficiaries. The intent of the legislature in creating the intestacy law is that it reflects most people’s wishes as to the disposition of their property. However, people have unique families, including second marriages, estranged children, deceased family members and family members with special needs. All of these factors are an important consideration in drafting a last will and testament or trust. 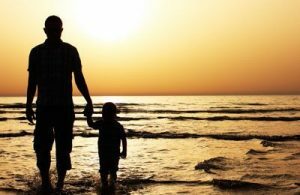 It is important to plan for the unique needs of families and to be thinking about alternative fiduciaries and beneficiaries in the event of unforeseen circumstances to avoid the state making the ultimate decision in your place. A revocable living trust is a common tool to avoid probate. But again, a well- drafted and signed trust alone will not avoid probate. Probate will still be required if the assets of the decedent are in his name alone. The appointed Trustee only has the authority to collect, manage, and distribute assets in the name of the trust. Therefore, it is crucial to ensure that you transfer, re-title, or assign your assets to your trust after it is executed. This is often referred to as “funding” the trust. Your attorney may assist you in this process or may just provide instruction regarding how to fund your trust. It is important that you review any documentation you may receive regarding funding your trust and ask your attorney questions if you do not understand how to proceed. It is always disappointing when an asset is not titled to the trust and a probate is required merely to transfer the assets to the trust. 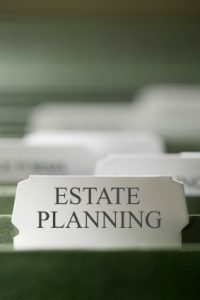 Generally, a probate will not be required when an asset is titled jointly with another person or has a beneficiary listed. It is important to review all asset titles and beneficiary designations as part of your estate plan. Again, the title of the asset will control its disposition outside of probate. Therefore, if your child is 18 years old and listed as a beneficiary on your savings account, even if you have a trust stating that you daughter will not receive a distribution until she is 25 years old, your daughter will still receive your savings account outright based on her being designated as a beneficiary. In this scenario, the account should be either re-titled to the name of the trust or the trust could be listed as the beneficiary of the account. Probate can be expensive and time consuming. Clients often feel that they cannot really grieve the loss of their loved one, or feel closure, until the probate is complete. Many clients seek to avoid probate due to the time and expense involved. If avoiding probate does not present a concern, at minimum, a well drafted and correctly signed last will and testament is necessary to ensure one’s intentions are carried out at their passing. Great information on avoiding probate in what can be, even in the most agreeable families, a tense situation. Thank you for this post. Very helpful to know exactly why and how to take a few extra steps upfront so that loved ones are not left waiting for closure of an estate.